This is part six of our six-part series on the current state of pesticides. 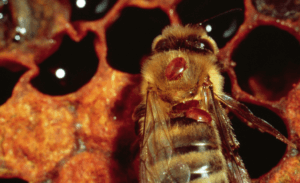 Pesticide residues―Something to worry about? In this series, we have highlighted the complexities surrounding pesticide use, and the importance of balance instead of extremes and generalizations. A final worry that many consumers have is that pesticide residues on their produce are dangerous to their health. Scare tactics from advocacy groups and misleading information from the media commonly give the impression that organic produce is safer and healthier than conventional produce. Organic produce still contains pesticides and pesticide residues. Many advocacy groups use the Environmental Working Group’s Dirty Dozen to call out specific produce that should be avoided because they contain more pesticide residue than other produce. However, the Dirty Dozen list does not take into account the level of pesticide detected and how that compares to the EPA’s tolerance levels. The Dirty Dozen list implies that produce with the most pesticide residue detections are dangerous and unhealthy instead of giving context to allow consumers to understand what the pesticide residue detections really mean. In this case, context means that even produce with the highest levels of pesticide residue are well below a level that would be dangerous to humans. 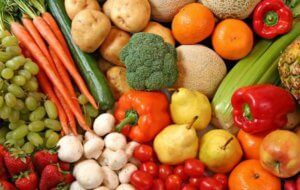 In addition, the Dirty Dozen list does not compare conventional and organic produce, which typically contain very similar levels of pesticide residue. The following graph shows the total number of tests done by the USDA for pesticide residues on specific vegetables in 2017, the number of detections found, and the number of detections over the EPA tolerance for the specific pesticide detected. The data is from the USDA pesticide data program. Clearly, both conventional and organic produce is very safe and very low levels of pesticides are detected in general. Conventional and organic produce has such low amounts of pesticides on it that you could eat your weight in fruit every day and still not be in danger of any health problems from the pesticides (You definitely would have health problems from eating that much fruit though!). 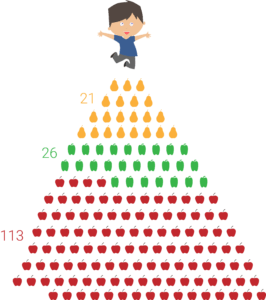 The following graphic shows the number of servings of pears, bell peppers, and apples a child could eat every day without negative health effects from pesticide residues, even if the produce has the highest level of pesticide ever recorded by the USDA. The safety of pesticides and the amounts that end up in our food are constantly being evaluated. And, just like anything that goes into your body, it’s the dose (the amount) that matters. Fruits and vegetables naturally contain “toxic” chemicals like aluminum, nicotine, and capsaicin. But the amount is so low that it’s not something we need to worry about. Similarly, pesticide residues on produce are too low to cause health problems, and are similar between organic and conventional produce. In this series, I highlighted a few major concerns and issues surrounding pesticide use in the U.S. with the purpose of showing that many arguments made in the media are oversimplified compared to the real challenge of producing food in the most healthy and efficient way possible. It is easy to call organic good and conventional bad, but that is not accurate and not the best way to improve farming practices going forward. Many changes and improvements in pesticides and farming practices have been made over the last few decades, but to continue improving, we need to evaluate each pesticide, technology and farming practice individually and constantly compare them with alternatives. This is the only way to accurately and scientifically meet the challenges we face in the future, including an increasing population and climate change.